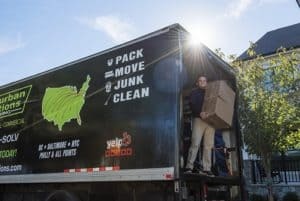 Do moving companies have hidden fees? Historically moving companies were notorious for charging clients hidden fees upon delivery of goods. Suburban Solutions rejects the notion of hidden fees and has built a reputation of providing straightforward and transparent estimates with ZERO hidden fees. Our thorough customer request form and detailed personalized estimates allow us to provide the most accurate estimates prior to your move. Our local and long distance moving services are billed differently to provide the most competitive rates to our clients. Truck Fee: includes mileage, fuel, tolls, and the use of our furniture pads, dollies, straps, etc. Hourly Labor Rate: is based off the size of the crew. We do have a 2 hour minimum on all jobs but after that our billable time is pro-rated by the minute and you will never pay more than the exact time we work. The crew leader will review the start and finish time with you on move day to make sure it is accurate. Long Distance Moving – All long distance jobs are charged on a flat rate basis and are all inclusive. Any additional surcharges will be outlined for you in detail and presented to you prior to the start of the job. If there are any additional charges on moving day, it would be in response to changes to the load / unload conditions or the inventory. Your crew leader will bring these to your attention immediately and you can always consult your local office for a final say. Clients Often Add – We have also included detailed pricing for the most popular items that clients typically add on during a move. We bring these items with us on the day of your move and we will only ever charge for the items we actually use. Moving Boxes – We recommend UHaul boxes, they are of good quality and priced right, they also deliver right to your door, for free! Wardrobe Boxes – These are great for transporting hanging clothes, available for rent during your move at $8 ea. (holds approx 24″ of closet rack) Let Us Know! Junk and Donation Items – Need to get rid of a few older pieces of furniture prior to your move, we can assist in the removal for our moving clients at $75 for the 1st item and $20 or $40 for each additional. We do our best to donate as much furniture as possible to reduce waste! Mattress Bags – recommended to ensure bedbug and soil-free moving conditions. Available upon request for $9 each Let Us Know! T.V. Box Rental – recommended to protect your flat screen during transit. Available upon request for $24 each Let Us Know! Floor Protection – recommended for hardwood flooring and newly carpeted areas. Available upon request for $12 Let Us Know!